Robert Gordon Services offers highest-quality workmanship, superior paint and James Hardie® siding, and excellent customer service. It’s a simple formula, but one that’s earned us some great recognition as well as satisfied customers throughout Raleigh, Durham, Cary, Morrisville, Chapel Hill, and the rest of the Triangle. 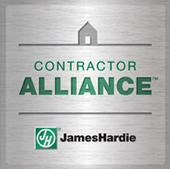 Great James Hardie® siding and great painting start with a great team, and we’ve got one. That’s because all of our tradesmen are in-house workers – not random subcontractors. They’re committed to improving in their craft, and to doing the kind of work that leads to recommendations, referrals, and a growing stream of business. Our hard work and dedication have also led to awards. We take great pride in being a James Hardie® Elite Preferred Remodeler as well as a President’s Club Award winner for 2017 – one of just 20 in the nation. We’re also a multiple winner of Angie’s List Super Service Awards and have a full five-star rating on Home Advisor. 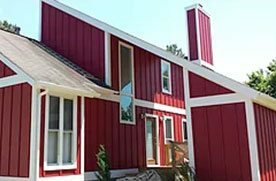 Painting and siding installation is a big investment in your Raleigh-Durham home; if it doesn’t look beautiful for years and years, it isn’t worth doing. That’s why we insist on using Sherwin-Williams® paints and James Hardie® siding products. These companies have well-deserved reputations for quality; their products will make your home look great (and they’ll make us look pretty good, too). It takes more than high-quality workmanship to make customers happy. Communication, availability, and respect are just as important as the physical work. 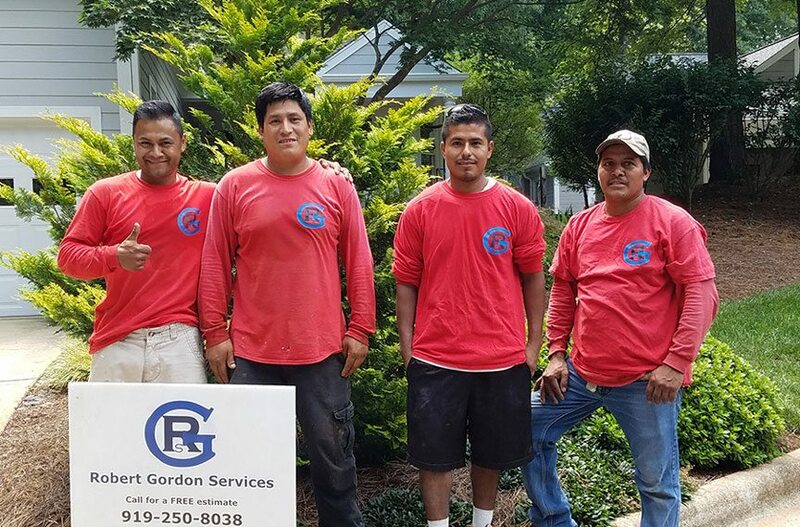 Robert Gordon Services is owner-operated and owner-supervised; our customers enjoy one-on-one communication with the owner through the entire project. The makeup of our company and staff is of high character – friendly and respectful workers who truly enjoy what we do. We want the customer to have a great experience with our entire team. 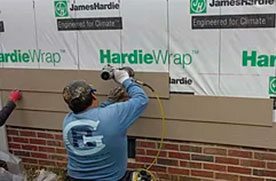 We carry the full range of James Hardie® fiber cement siding. No matter your needs and goals, we can provide the perfect solution for you. Let us show you why we’ve become the most popular choice for siding replacement in the Raleigh-Durham area. For rich color and durability, Sherwin-Williams® paints are tough to beat; their high quality, combined with our expertise, ensures that our painting will beautify your home’s interior or exterior for many years to come. We handle projects of all sizes, from small touch-ups to entire properties. Call anytime for a free, no obligation estimate. We’ll show you why Robert Gordon Services is Raleigh-Durham’s premier painter and James Hardie® siding contractor! We have steadily become the most popular choice for siding replacement needs in the Triangle. RGS can ensure quality work for your interior and exterior painting needs. Overall we are pleased with the work done by Robert Gordon Services and would recommend this contractor for siding and painting work highly. I am extremely happy with the level of professionalism exhibited by Robert Gordon and his different crews that came and took care of my house. Quality work at a reasonable price! They were able to offer suggestions but readily accepted what I wanted as the outcome. All employees were respectful and courteous and worked diligently to get the job done in a timely manner. I highly recommend Robert Gordon and his crew! Robert took the time to understand our needs, our price point, and accommodate quality service in a professional manner. I highly recommend their services. Also, his crew took the time to perform in a professional way. Robert was a pleasure to work with and a man of his word. They have quality work.